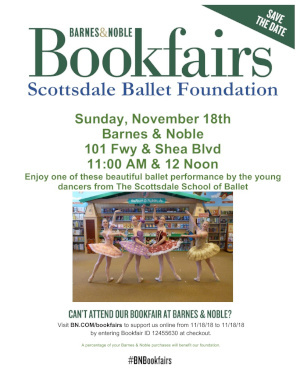 Support Scottsdale Ballet Foundation during the annual Barnes and Noble Bookfair fundraiser! 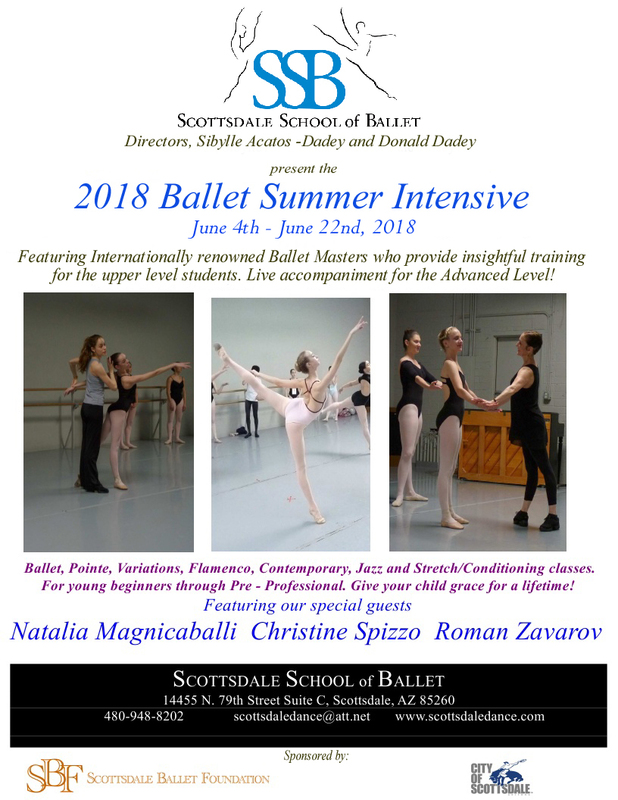 We invite you to attend the presentations at the Barnes and Noble store at the 101 and Shea Blvd in Scottsdale on Sunday April 30th at 12:00 p.m. and 1:00 p.m. where dancers from Scottdale School of Ballet will present excerpts from the Soiree de Ballet 2017! 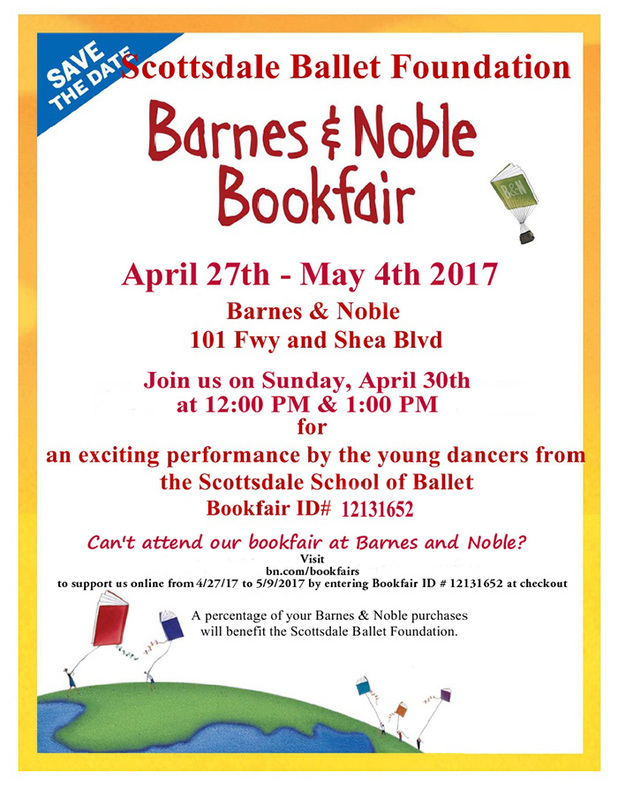 If you cannot attend the in store Bookfair, go to www.BN.COM/bookfairs and please apply the bookfair ID# 12131652 to all online purchases from 4/27/2017 - 5/09/2017. 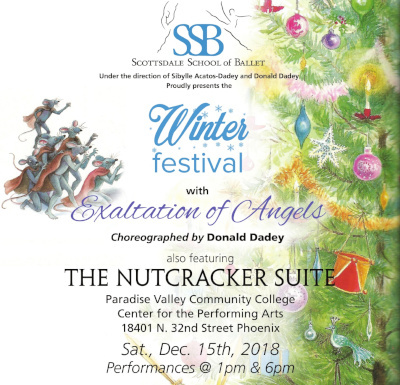 A portion of all sales will benefit the Scottsdale Ballet Foundation. Feel free to download the flyer and forward it to all family and friends as it may be used at any Barnes and Noble as well as online.